The film: The first film of Peter Jackson’s highly acclaimed trilogy, Lord of the Rings: The Fellowship of the Ring. 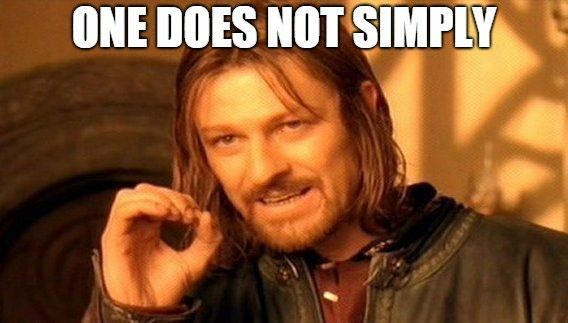 The Meme: “One does not simply…” A now legendary meme, Boromir, portrayed by Sean Bean, says “One does not simply walk into Mordor” which has since been quoted and adapted many, many times. The film: The Matrix is directing duo the Wachowskis at their finest with this thought-provoking sci-fi classic. 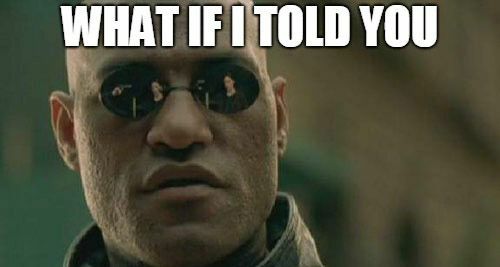 The meme: “What if I told you…” Interestingly, Morpheus never actually says this in The Matrix making this meme one of the many misquoted iconic lines from films. The film: The Big Lebowski, a cultural phenomenon of a movie that has inspired not only memes, but a religion known as Dudeism. The meme: While the film is home to many memes “Am I the only one around here” featuring a gun-wielding Walter Sobchak played by John Goodman is perhaps the best known. The Film: Shrek was a hit back in 2001 for its subversion of fantasy tropes and its blend of child and adult humour with numerous sequels and spin-offs. The meme: Shrek himself and the films are the meme in this case. The film’s cheeky humour has translated onto the internet for better and worse. Similarly, the music in the first film such as All Star by Smash Mouth, layers and “What are you doing in my swamp?” are all popular references online. The film: Released in the 80s, the ultimate decade for teen films, Bill & Ted’s Excellent Adventure is a hilariously goofy time-travel adventure. The meme: Known as “Conspiracy Keanu” acting legend Keanu Reeves’ character Ted looks particularly puzzled, questioning everything and anything. The Film: Tommy Wiseau’s cult film and midnight movie hit is something of a terrible masterpiece. The meme(s): “You’re tearing me apart Lisa” and “Oh, hi Mark” are popular and instantly recognisable quotes online that are often memed along with the film’s quality, acting and continuity issues. Much like Shrek the film itself can be considered a meme. The Film(s): Not a film, but a franchise. An epic space opera and one of the most successful franchises of all time that has spanned over 40 years. The meme(s): From Return of the Jedi’s “It’s a trap” to Ewan McGregor’s delivery of “Hello there” there’s too many Star Wars memes to count! Ultimately Star Wars has become a goldmine for meme-worthy content. The Film: Vampire’s Kiss, a black comedy that features some serious Nicolas Cage overacting. 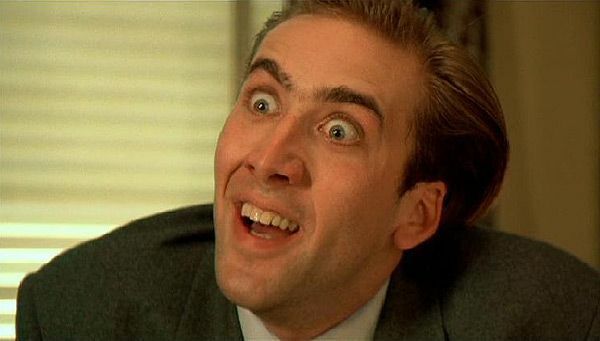 The meme: One of Nicolas Cage’s many memed moments, “You don’t say?” is a popular rage comic styled meme based on this very… interesting facial expression.